Welcome to GameWith, home of quality game guides for all your favorite titles! We provide daily updates on comprehensive tips & tricks including latest contents, best ranking, event features and many more! Venture into the unknown in this newly released reimagining of the smash-hit indie roguelike, "Risk of Rain 2"! Learn all about the latest news, character unlocks, item effects and secret in our strategy guide! Gotta catch'em all... on the GO! Check out all the tips and tricks you need to know in our Pokemon Go Strategy Guide, including beginner tips, all Pokemon database, how to win in Raids and more! Follow the bloody path of a lone Shinobi in his journey of redemption and revenge in Sekiro: Shadows Die Twice. Find all you need to know to carve your way past the exceedingly challenging enemies with our walkthrough; including boss guides, Prayer Bead location, recommended Skills and more! Bring order back to the fallen Washington D.C. in the latest introduction to the Tom Clancy's Division series! Find out all you need to know to survive the post-apocalypse; from weapons to walkthroughs, armor gears and Dark Zone play tips and more! Legendary Demon Hunters reunite in the latest title in the Devil May Cry franchise! Learn all you need to know in our strategy guide; from mission walkthrough to secret mission location, Blue Orb hunting and more! Revisit the post-apocalypse Hope County in the Far Cry New Dawn, a brand new take on the popular Far Cry franchise! Check out our strategy guide & walkthough for all your game play needs, including weapon lists, perks and more! Check Out Far Cry: New Dawn: Strategy Guide & Walkthrough! Experience the ever evolving strategic sci-fi battle royale game! Follow our strategy guide for all play tips from choosing your Legends to finding your arsenals, how to play better to secure your wins! 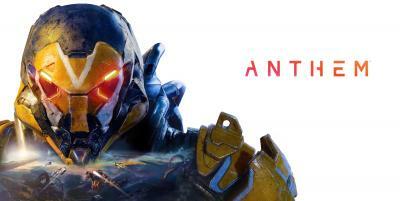 Delve into the world of Anthem,, the open-world TPS action RPG with our strategy guide! Here, you will learn all there is to know about Anthem, from mission walkthough to best weapons, all Javelin overview and more! The survival horror masterpiece is reborn. Follow our walkthrough guide & tips for you to survive the Racoon City zombie apocalypse again. Guide includes story walkthrough, weapons, item location and more! Our upcoming Kingdom Hearts 3 guides will feature more information about the latest in the Kingdom Hearts series, updates, walkthroughs, guides, & strategies. Legendary all-out brawl continues in the latest installation; Super Smash Bros. Ultimate! Check here for all the information for your favorite characters, stages, game modes and many more! Take on exciting 3vs3 multiplayer mobile action in the Brawl Stars! Learn everything you need to know to be a one-of-a-kind Brawler with best brawler ranking, play tips & techniques, and more! Check out our in-depth guide for Pokemon Let's Go: Pikachu & Eevee! Featuring story walkthrough, Pokemon lists inter Pokemon Go tie-ups and more! Gotta Catch 'em All! Venture the wild west as an outlaw of the 20th century in Red Dead Redemption 2 (RDR2). Get your in-depth look at the mission walkthrough, weapon & gears, online information and more! Your source for all information Fortnite: Battle Royale ! This Guide offers you an in-depth look at the latest news, events, skins, play tips and tricks, and more! From tips to level faster to best weapons in the game, find out everything you need to know about the Call of Duty franchise's latest release, Call of Duty: Black Ops 4 (BO4) in our Tips & Guide! Survive the apocalypse in a single player open-world adventure in Days Gone. Learn about all you want to know about the main mission walkthrough, skill trees, gameplay tips and more in our online guide!